Let’s be blunt: there’s definitely some overlap between the demographic that consumes Mountain Dew soda, and the demographic that owns a fair bit of products covered in hunting camouflage. 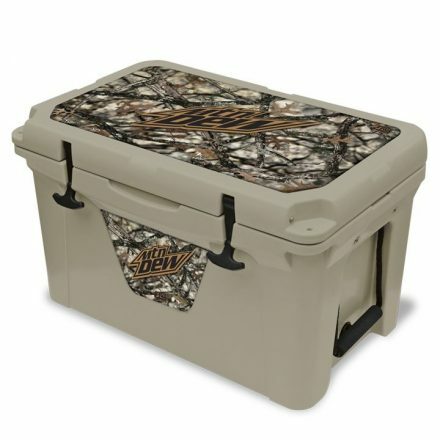 Still, it’s a bit surreal to see the MD logo plastered on Lost Camo XD pattern camouflage, even if that logo is also logically plastered on a cooler. Then again, this is the soda that had a licensing deal with Kryptek a while back. This entry was posted on Wednesday, December 21st, 2016 at 23:57	and is filed under Camo, Press Release. You can follow any responses to this entry through the RSS 2.0 feed. Both comments and pings are currently closed.